One of the biggest life events anybody can experience is getting married. A couple in love often spends the months leading up to the big day learning more about one another and enjoying that period of bliss that comes with the feeling of engagement. Not everything is easy and smooth when it comes to the wedding process, however. For those couples having large, traditional wedding ceremonies, a massive amount of planning is required. From choosing the venue to ensuring every little detail is perfect, the stress can be immense – and a real test of the couple’s resolve. 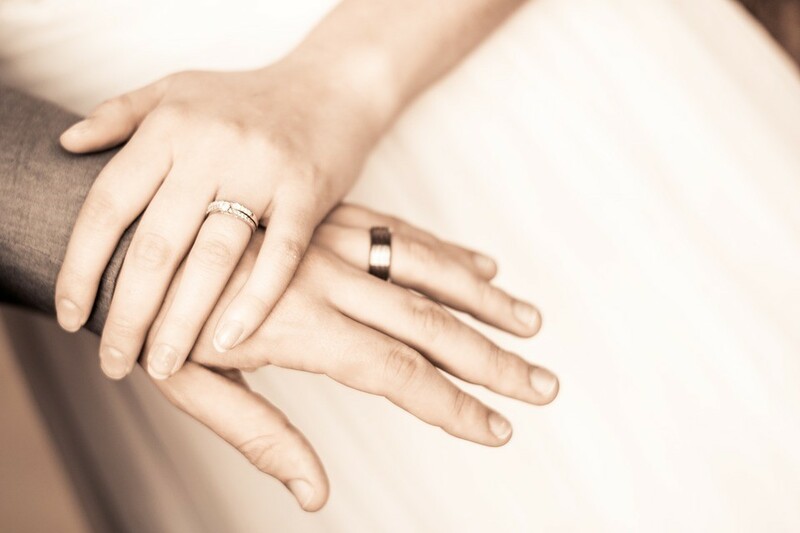 Picking out the best wedding bands doesn’t have to be one of those stressful decisions. Here, we’ve put together a collection of the most popular men’s wedding band styles on the market so that you can narrow down your decision quickly and easily. Most men aren’t insistent upon the most expensive wedding bands on the market. That can make shopping for a men’s wedding band a lot easier and more convenient. What many men do want out a wedding band is something that is both practical and durable. This is why men’s tungsten wedding bands have become all the rage as of late. Not only is tungsten (technically tungsten carbide) far more durable than most precious metals, but it is immensely affordable as well. Tungsten bands can be designed with gold, silver or platinum finishes for additional style, and can be worked in any way that other, more expensive metals would allow. Adding a more sentimental feeling to any wedding band, more men are looking to have engravings placed on the inner bands of their rings than ever. For many men, this style is an excellent trade-off when compared to the more standard gemstones and adornments found on many men’s and women’s wedding bands. Depending on the metal chosen, engravings may require special equipment. Some softer jewellery metals are easier to engrave than others; this can make some stronger and/or cheaper metals more expensive to engrave than others. Nevertheless, there is no better way to add a personal message or added touch to any men’s wedding band than by engraving a special message on it. Another hot style making its way into the men’s wedding band industry is carbon fibre. While a standard single-metal band can make a statement all on its own, an increasing number of men are using low-cost carbon fibre as one way to add some detail without spending a fortune. The basic material contrasts very well with silver and platinum-coloured bands, helping to draw a contrast between both materials. Due to its affordability, many couples are opting for this material as a stand-out element in lieu of more expensive or gaudy gemstones. The black colour also adds a bit of masculinity to any wedding band that might otherwise seem more androgynous. With thousands of different designs, metals and colours to consider, picking a men’s wedding band can be a challenge. Among the most popular styles right now, tungsten bands, carbon fibre elements and engravings rank at the top of the list. In most cases, all of these elements can be combined for an aesthetically-pleasing look at an affordable price – so start shopping today!